You are at : Home > Product catalog > Uniforms and civilian clothing > Second hand costumes, opportunities > Grenadier style uniform for "carnaval de dunkerque"
Grenadier style uniform for "carnaval de dunkerque"
Uniform inspired by "grenadier a pied de la garde", for a traditional company of Dunkerque, which is one of the most important carnival of France. 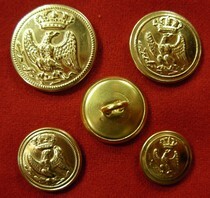 Price for jacket only without epaulettes. White front is in cotton, and is made in one part instead of 2. 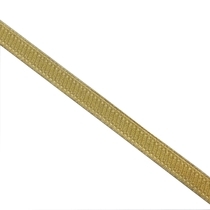 Baton 13 mm double face gold braid, ancient stock, made in France, price per roll.